I'm absolutely thrilled to be taking part in an auction to raise money for this years Red Nose Day. 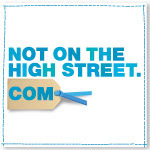 A group of sellers from notonthehighstreet.com have come together to create a fantastic prize which you can bid to win. 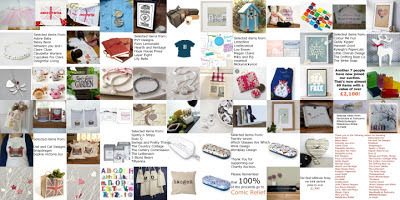 Each seller has their own business, some may be large and some may be small, but every one is an independent UK creative business who has rallied to support this very worthy cause. The prize consists of nearly 60 items with a retail value of over £2,300, which have all been donated by a selection of sellers. 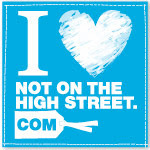 For those of you who have not heard of notonthehighstreet.com, it is the leading online marketplace for the UK's best small creative businesses, so you can be assured that the quality of the items are second to none. A full list of items can be seen if you click on the link below the photo above, but with donations ranging from home & garden wares, to clothing, cards and jewellery, there's a fantastic assortment of products that are simply not available on the high street. This could sort out all your gifts & cards for your loved ones (and treats for yourself) for an entire year! 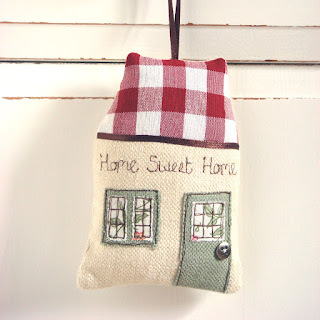 We've donated a lavender filled fabric house decoration, worth £22. Embroidered with 'Home Sweet Home', it's perfect to give to keep for yourself or to give to family and friends, and would make the ideal house warming gift. 100% of the proceeds from the sale will be going to Comic Relief 2013, so not only will the winning bidder be the lucky recipient of some fabulous items, Comic Relief will benefit too. The auction finishes on Red Nose Day, which this year is on the 15th March 2013, good luck. P.s. Massive thanks goes to fellow notonthehighstreet.com sellers Betsy Benn and Lindleywood for organising the auction.